Brazaitis, A., Tamošiūnas, A., & Tutkuvienė, J. (2015). Acta Medica Lituanica, 22(1), 47-53. Abstract by: Rachael Meusborn, SPT at Missouri State University, Springfield, Missouri. This intra-subject comparison study aimed to determine if females with unilateral patellofemoral pain (PFP) have increased medial femoral rotation compared to their contralateral, asymptomatic knee along with greater lateral patellar tilt and displacement during full weight bearing. This study included forty-four female participants of similar height and body mass between the ages of 20-40 with unilateral PFP. The participants met the inclusion criteria of at least two symptoms associated with PFP: painful stair ascent or descent, painful squatting, painful kneeling, or painful prolonged sitting. 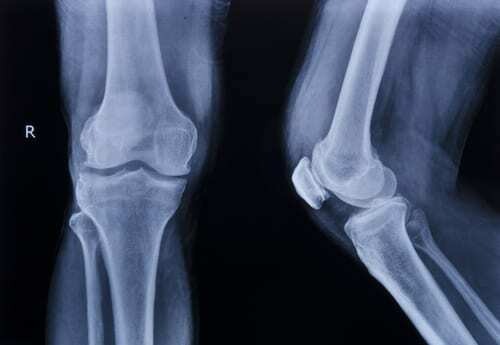 Exclusion criteria included previous knee surgery, traumatic patellar dislocation, any implanted pacemakers, cochlear implants, or clips, and participants over the age of forty to avoid possible degenerative joint changes. Participants were placed in the supine position and were loaded with full weight. The MRI table automatically moved to extend the knees by 10 degrees between the range of 50 and 0 degrees. (full extension) Participants were instructed to press into extension with equal force with both legs during the trials. Sagittal and axial MRI images of the patellofemoral joints were taken and the images displaying maximum patellar width were selected to evaluate medial femoral rotation, patella rotation, lateral patella tilt, and lateral patella displacement. The outcomes of this study demonstrate statistically significant differences in the medial femoral rotation of healthy and painful knees at all angles measured. The greatest difference in femoral rotation between the symptomatic and asymptomatic knees was 7 degrees and was measured at full extension. Significant differences of patellar tilt were discovered in all positions except at 50 degrees of flexion. Additionally, no significant difference in patella rotation was found as both patella rotated identically. The authors concluded that patellar motion was minimal in relation to femoral movement of the painful knee during knee extension with full weight bearing. The results of this study confirm the data collected by previous investigations that report the primary cause of PFP is increased medial rotation of the femur under a relatively stable patella. However, the similar studies all compared participants with PFP to asymptomatic participants. At the time of publication, this was the only study to perform an intra-subject comparison of unilateral PFP against the uninvolved side and the underlying kinematics of the patellofemoral joint. Further studies are needed to investigate differences of the patellofemoral joint motion between genders, as well as to address the ‘screw home’ mechanism and the role that it plays in stability with knee extension. Treatment for patellofemoral pain in the past has primarily been focused on addressing the patella and its route as it glides and rotates with flexion and extension. Treatments have routinely included options such as quadriceps strengthening specifically targeting the VMO, patellar taping techniques, orthotics, and stretching of the lateral retinaculum. These conservative treatment options have yielded success in the past and a multimodal approach should continue to be utilized when caring for patients (Barton, Lack, Hemmings, Tufail, Morrissey, 2015). Clinicians should always be ready to adopt new research into their practices such as the one outlined above. A similar study was conducted in 2010 drawing the same conclusions that medial femoral rotation plays a large role in the development of PFP (Souza, Draper, Fredericson, and Powers). These findings suggest that the treatment for PFP should focus on exercises to target the external rotators of the hip and appropriate stretching to target and minimize medial femoral rotation under the patella. The currently utilized treatments for PFP should continue to be incorporated as each plan of care should be individualized based off the examination findings. However, the conclusion of this study suggests that increased emphasis on interventions to decrease medial rotation of the femur has the potential to improve outcomes for the treatment of PFP. Souza, R. B., Draper, C. E., Fredericson, M., & Powers, C. M. (2010). Femur rotation and patellofemoral joint kinematics: a weight-bearing magnetic resonance imaging analysis. The Journal of Orthopaedic And Sports Physical Therapy, 40(5), 277-285.